"Si je ne devais garder qu'un vêtement, ce serait le smoking..."
"If I were to keep just one item of clothes, it would be the tuxedo"
A smooth-flowing line, an absolute in the night. A signature. All about Love. The tuxedo is the iconic garment launched by Yves Saint Laurent in 1966, a dream that is reborn from one season to the next, a total classic now being celebrated by Stefano Pilati, Creative Director Yves Saint Laurent Prêt-à-Porter. The quintessential embodiment of the YSL woman. All about seduction and passion. Playing with shadow and light, the way she does with every facet of her personality. As pure as the finest powder, as sophisticated as satin leather, the tuxedo is the ultimate clothing for liberated women. Masculine, Feminine. Icon of elegance. Black Magic. No compromise. A style more than fashion. A way of being, a way of living, of moving freely. Living emotions to the full, far from imposed codes. Textured black, now matte, now glossy. No fear of extremes. The tuxedo rhymes with all shades of sensitivity, shunning taboos but flirting with danger, set in beauty with a spell of magic. 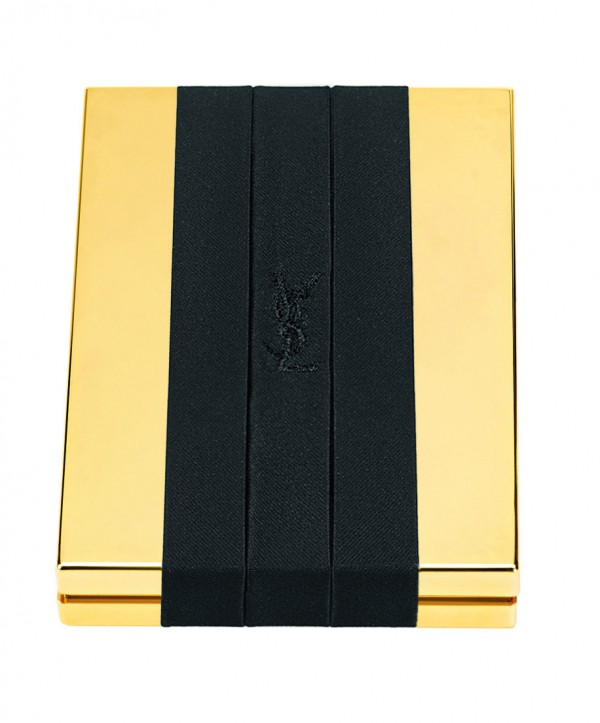 Yves Saint Laurent beauty. For ever. For now. 2011. THE TUXEDO EXPRESSED THROUGH MAKE-UP, WHEN FABRIC BECOMES EYE SHADOW. Eyes, complexion, lips, a movement of the hand. Midnight light. The quintessence of a couture ritual. Two tuxedo palettes of blacks and whites to glitter, shine, glow and redesign themselves, throughout the night. Through this Collection, Lloyd Simmonds pays tribute to the Yves Saint Laurent tuxedo, the absolute garment in a masculine / feminine wardrobe, enhanced by a satin sash, a velvet lapel, a bow-tie. In doing so, he has recreated a new palette of seduction, placing the emphasis on expression, on the force of an attitude. Make-up… the ultimate gest. A way to sublimate a face, to reveal radiance and enhance the eyes, a unique dimension in the name of Yves Saint Laurent attitude. Allowing women to affirm the role as a heroine in their own way. As a tuxedo does, the Palette Noir Terriblement elongates the eyes. 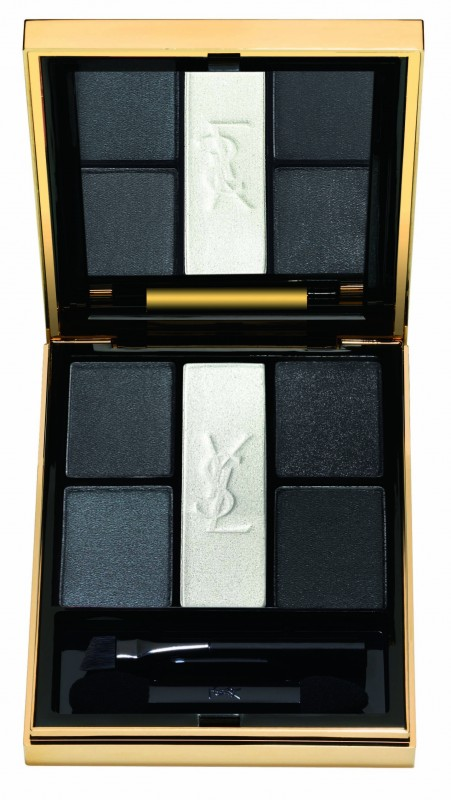 Black is not just placed, it blends into the eyelid, now radiant, now transparent, to give the famous YSL “tuxedo” eye. Duo Terriblement Noir. Two blacks. One matte and one glossy. An ultra-graphic feel for the season’s most radical, most “couture” duo. A reprise of the contrasts of powder texture and satin lapels, they are complementary to give an ultra-sophisticated, infinitely black finish. 2 black nailpolishes? How incredibly creative. I'm not completely sure about the uniqueness of the polished but I'm curious about them. Can't wait to see some "real" swatches. @Leni actually it's 30€ for both since it's a duo.